I read Carly's post yesterday where she answered readers' questions via Instagram, Twitter and Snapchat, and I thought it was such a fun idea. 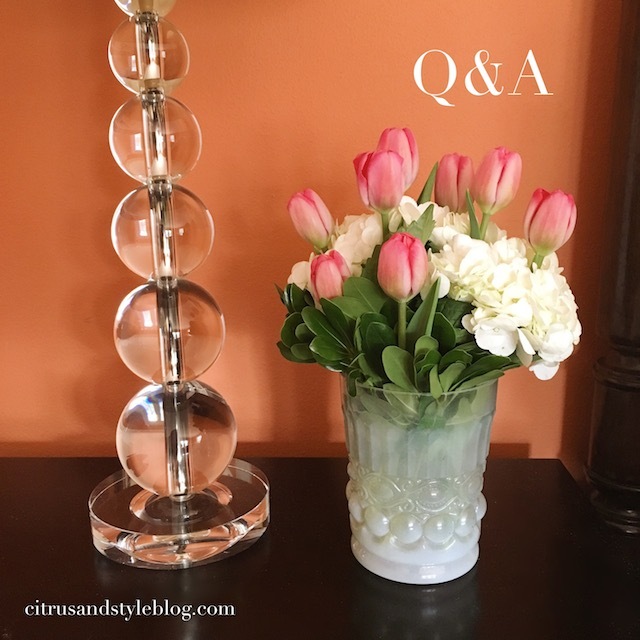 My goal for citrus & style is to become more of a two-way conversation rather than me just talking to you guys, so what better way to have a discussion than a question and answer post! 1. What are you most looking forward to about college? College is something I've been looking forward to for so long and I seriously can't believe it's almost here! The idea of living on my own and making my own routine/schedule is really exciting to me, and I'm especially thrilled to get to decorate a dorm with my roommate! Meeting new people and getting to learn about things I'm interested in are also things I'm eager about. 2. What are your tips for putting together an outfit? It really depends on my mood, but when I create an outfit, I usually have one key piece in mind that I start with, and then I build it from there. For example, if I'm wanting to wear my Stan Smith sneakers, I'll go for a more sporty look and pair them with a jean jacket, striped tee and white jeans. Then I'll add a pop of color with either a bag or jewelry, and I always have to wear my pearl studs, monogram ring and monogram necklace. Somewhere warm! Right now I'm dying to go to Palm Springs because I've been so many cute things on social media and am craving sunshine. Cape Cod or Martha's Vineyard are also on the list after having so much fun in the Hamptons last summer! 4. How do you edit your photos? I actually have a post about how I edit my Instagram photos right here! Besides VSCO cam, Aviary and Snapseed have become favorite editing apps of mine. In 10 years I'll be 28 (like, what?!) and I'll be roughly 6 years out of college. I really want to live in Minneapolis (I'm told it's like a cross between Milwaukee and Chicago!) because they have some cool brands to work for and I think it would be a great place to have a family. citrus & style will always be a part of my life, and if it really takes off at some point, I would love to launch a product line or write a book! 6. If you could only wear one outfit for the rest of your life, what would it be? I'm in love with my new high waisted white jeans so definitely those with some sort of white tennis shoe, a navy and white top (gingham or stripes!) and a pop of pink either through jewelry or a bag. I get this question often and as much as I wish I had the magic tip for growing a blog overnight, the key is to really just stay consistent and post unique content. 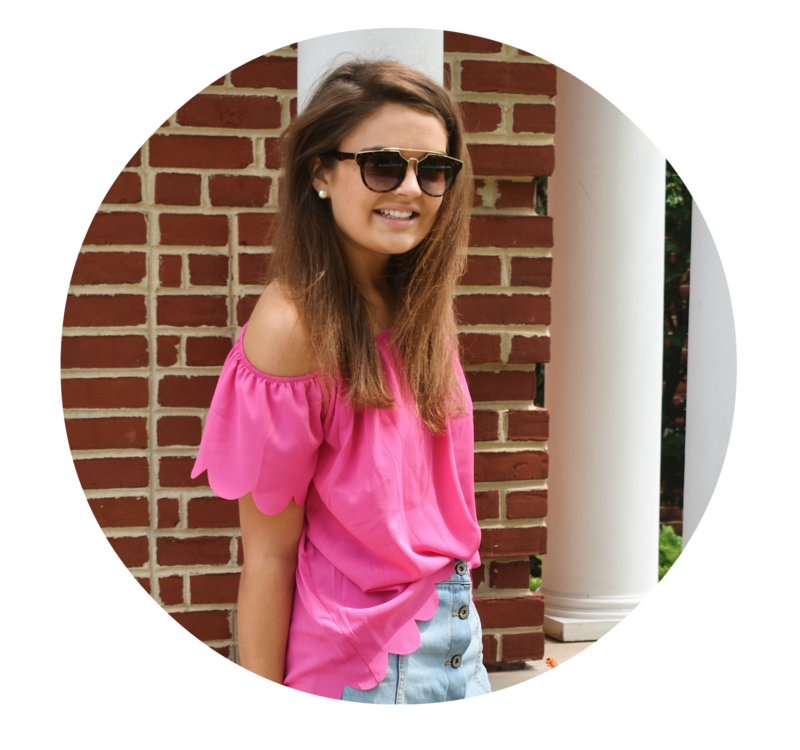 Find what makes you stand out from other bloggers and emphasize that! It's also important to educate yourself on how to use the platform for your blog (ie. Blogger, Wordpress, etc.) and be aware how to change things like adding a widget on the sidebar. This gives you more creative freedom and will be helpful to know down the road.